 Join or upgrade (from $60 in 2016) and receive: Recognition in select Miners Foundry event programs, an invitation to an annual Membership Event, the bi-annual e-newsletter History Happens Here—an inside glimpse of your investment at work—and two Cheers to You! complimentary drink tickets. Upgrade (from $125 in 2016) and receive Friend benefits + 20% discount on two tickets to your choice of one: Mardi Gras, Jerry Bash, Fright Night, or New Year’s Eve and Cheers to You! complimentary drink tickets (4 total). Cornerstone benefits + Invitations to Founders Forum events, 20% discount on two tickets to four Foundry events: Mardi Gras, Jerry Bash, Fright Night and New Year’s Eve. Cheers to You! complimentary drink tickets (6 total). Founder benefits + Reserved seating at select Foundry events, opportunities for backstage Meet & Greets, 20% discount on two tickets to Reader’s Theatre, and two Miners Foundry etched wine glasses. Pelton Society benefits + Patron concierge services to include: VIP Experience at select events, reserved seating and parking at select events, and two additional Miners Foundry etched wine glasses (4 total). Donating your vehicle is a great way to give to Miners Foundry Cultural Center. If you’re thinking now would be a perfect time to buy your dream car, then consider donating your old vehicle to Miners Foundry. Don’t settle for a low trade-in, but instead support the cause you love. Help us preserve our building and serve Nevada County as the cultural arts and community events center, while also qualifying for a tax deduction. For more information or to get started on your vehicle donation visit https://careasy.org/nonprofit/miners-foundry-cultural-center or call 855-500-7433 now! How does monthly giving benefit the Miners Foundry? Like all arts and cultural organizations, the Miners Foundry cannot rely on ticket sales and event rentals alone. Memberships and donations play a significant role in ensuring the success and continuation of the Miners Foundry. Monthly membership reduces administrative time and expenses, and ensures a continual stream of support, allowing the Foundry to continue to preserve the historic building, present an array of programming choices, and provide a gathering place for the community. WILL I HAVE TO RENEW MY DONATION EVERY YEAR? No. We’ll automatically renew your gift, and continue your monthly donation without interruption. You can contact us when you know your card is about to expire, so we can updated it and keep your payments continuing uninterrupted. Please call the Miners Foundry office at (530) 265-5040 to do this. Absolutely! The Miners Foundry always welcomes as much support as you are able to contribute, and we greatly value any extra donation you are inspired to make. You are in complete control of your giving, and you are welcome to increase, decrease, or stop your monthly donations at any time. Contact the Foundry at (530) 265-5040 or info@minersfoundry.org to make any changes. Call us at (530) 265-5040. Please don’t email your new information to us, we can’t guarantee the security of your information that way. WHAT IF I NEED TO SUSPEND OR CANCEL PAYMENTS FOR A LITTLE WHILE? Email us or give us a call at (530) 265-5040 and let us know what you’d like to do. Your security is very important to us. If you mail in a form with your credit card or bank debit card information, we will process and shred your donation form after the transaction is complete. We do not keep your credit card or checking account information on file at the Miners Foundry.